Way last October, we started our round robin quilts. 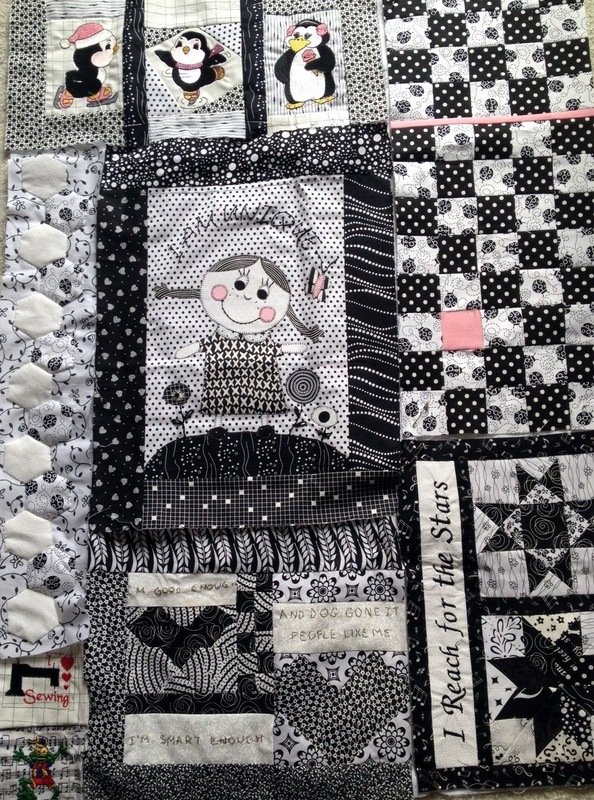 The idea was to make a block relating to Positive Affirmation and pin it on the approximately 24 x 36 piece of fabric base. They were passed around to a different participant each month who was to add something to the piece. We actually worked on six of the pieces. You could include fabric, embellishments, etc., in your bag along with anything you wished to say about the items being added. There was a notebook included for your thoughts and then the person adding each month also wrote something in the little book about her reasons for adding what she did, her feelings, or anything she wished. That was fun - fun to read each book as you worked on the piece and then fun to read the one in your bag when you got it back. Here is what I had returned to me last night - and I am really tickled with it. 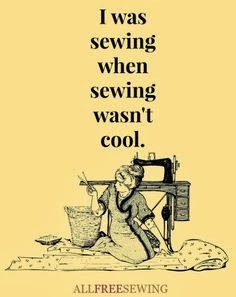 I plan to sew it together and have it quilted before our show at the end of April. There were probably a dozen taking part and it will make a fun display. It was also the night to reveal the challenge quilts with the theme of Tour Michigan with Us. 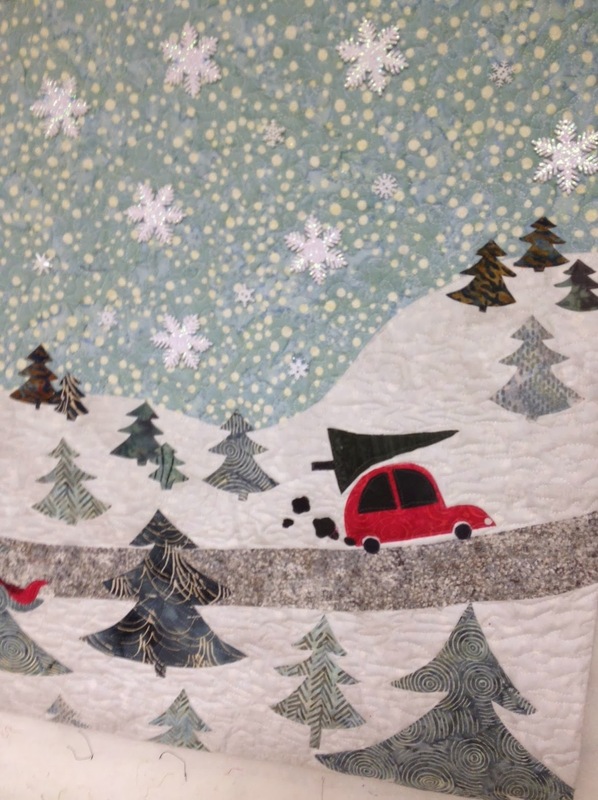 We each received a piece of fabric to be used for the road and the roads will be lined up when the quilts are displayed at the show. A lot of ladies are taking part and there are lots of great pieces with more coming that had not been finished. Should be a lot of fun when they are all hung. All phases of our state are represented - the lake, the fruit trees, windmills, I think lighthouses were there, and mine was about the Michigan Christmas tree farms. Didn't get to take them all in but there are lots of clever, fun pieces. One of my friends did a beauty with a loon on it. Looking forward to seeing them all together at the show. I really enjoyed making this little piece. All the fabrics were in my stash and the only thing I bought were some little snowflake buttons. I had the big sparkly snowflakes already. Snowing again - but not too much. Wind blowing pretty hard - a good day to stay in!! yours really did turn out very good. Round Robins are tons of fun aren't they.